With 50 million records sold worldwide, it’s no surprise that the Guinness World Records named them as the most successful duo in music history. 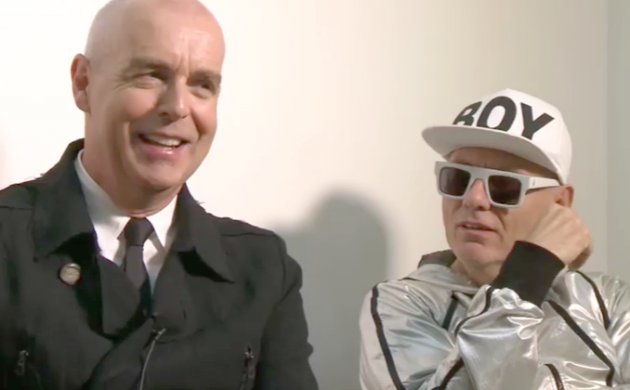 Synth electro-pop band Pet Shop Boys from London were formed in 1981 and have since recorded an astonishing 42 Top 30 singles. Seen as the antithesis to conventional pop stars of the time such as Wham and Culture Club, their avant-garde fashion sense and progressive attitude positioned the duo as fashion icons and significant figures in gay culture. Their stage shows are something special to witness, as they combine elements of music, film and theatre, making them interact with a state-of-the-art light show, creating a unique visual impact. Ever imagined becoming a music star by posting your material on YouTube? That’s exactly what happened to Rob Resnick and Caleb Shapiro, the two artists behind Timeflies. They hit it off at a university party back in 2010, when Shapiro started rapping over Resnick’s beats, and shortly after they began collaborating more seriously. The duo have quickly built their reputation thanks to the power of social media. Using YouTube as their main exposure platform, they have reached a truly global audience. Their original blend of pop with hip-hop, dance and funk appeals to a wide audience, allowing them to market their music to fans of all genres. There aren’t many bands who can claim they influenced Led Zeppelin, but Danish rockers Pretty Maids are part of that exclusive club. They’re currently touring with their latest studio album, Kingmaker – another classic in the making. Kent are considered one of the biggest rock/pop bands in Scandinavia. They have released 12 albums and won 21 Swedish Grammy Awards. They’ve announced 2016 as the band’s last year, bringing an end to a successful 26 years performing. Taken their name from the Yiddish word ‘crazy’, Meshuggah are one of the world’s most extreme metal bands. Known for their complex, polyrhythmic songs, they blend death and thrash metal with progressive and jazz fusion elements. The Temper Trap are a successful indie rock and pop band from Melbourne, Australia. With a unique mix of choirboy vocals and ringing, their U2-influenced guitar sound has earned them significant buzz in the world of music.